Consisting of Panport Property, Panport Proprerty Service and Panport Airport Construction companies, etc, focusing on airport commercial real estate development, undertaking construction project of civil aviation airports, making benchmark projects in Xiamen and Fuzhou, gathering business flow with differentiate products, creating high value for the customer experience and building new business ecosystem in airport zone. Fujian Panport Property Co., Ltd.
Xiamen Panport Property Service Co., Ltd.
With the certificates of Construction of Electromechanical Project Type Class A and National 1st Class Property Service Company, PANPORT PROPERTY, ranks Top30 among property service companies in Xiamen. It provides the maintenance and operation of electromechanical facilities, property management services and business development. 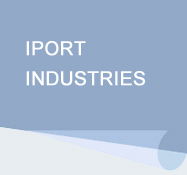 Fujian Panport Airport Construction Co ., Ltd.
Fujian Panport Airport Construction Co., Ltd. is a wholly-owned subsidiary of Xiamen Iport Group. It is a professional company integrating airport engineering construction and investment. Itis responsible for the construction of Xiamen New Airport and Fuzhou Airport Phase II. At the same time, it isin chargeof the agent-construction of the Group’s 4 airports i.eXiamen Gaoqi, Fuzhou Changle, LongyanGuanzhaishan and Wuyishan Airport.